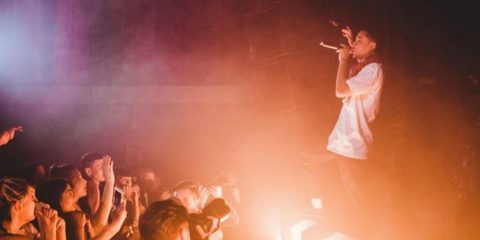 Live at Leeds has just announced its next wave of artists to be hitting venues across the Yorkshire city on 4 May. 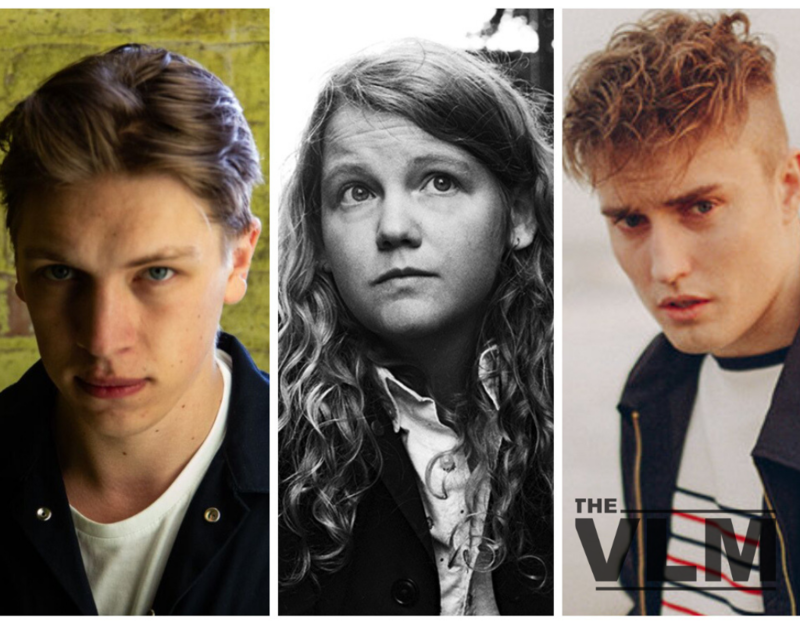 The BRIT nominated and multi-Mercury-Prize nominated Kate Tempest leads this second wave of artists. 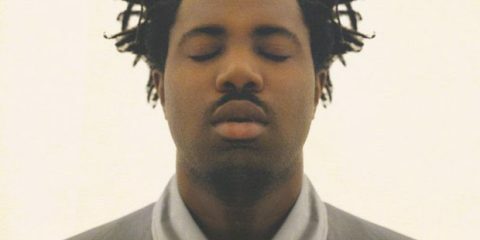 The highly acclaimed rapper, poet, novelist, spoken word artist and playwright *gasps for breath* will bring her extensive collection of talents to the Leeds spotlight. A true 21st century prodigy worth catching. 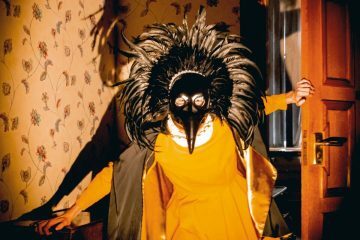 Joining Tempest in this flood of artists are Drenge, the trailblazing three-piece from Castleton. 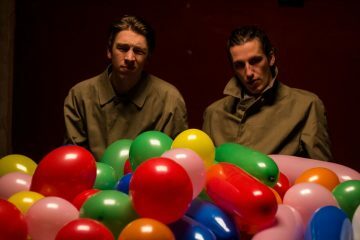 A band with true garage-rock spirit, Drenge have released two critically acclaimed albums since 2013 and are set to release Strange Creatures, their third, on 22 February. Expect a royally raucous set from these Derbyshire lads. 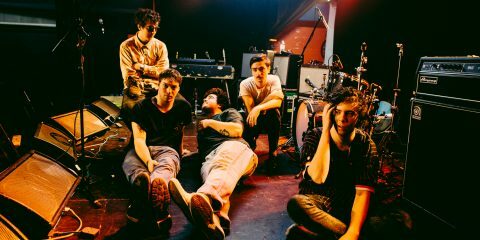 Also included in this recent surge of artists is the BRIT Critics’ Choice winner Sam Fender, The VLM’s favourite wacky disco-pop extraordinaires, Confidence Man, and the best upcoming indie band around, Bloxx. 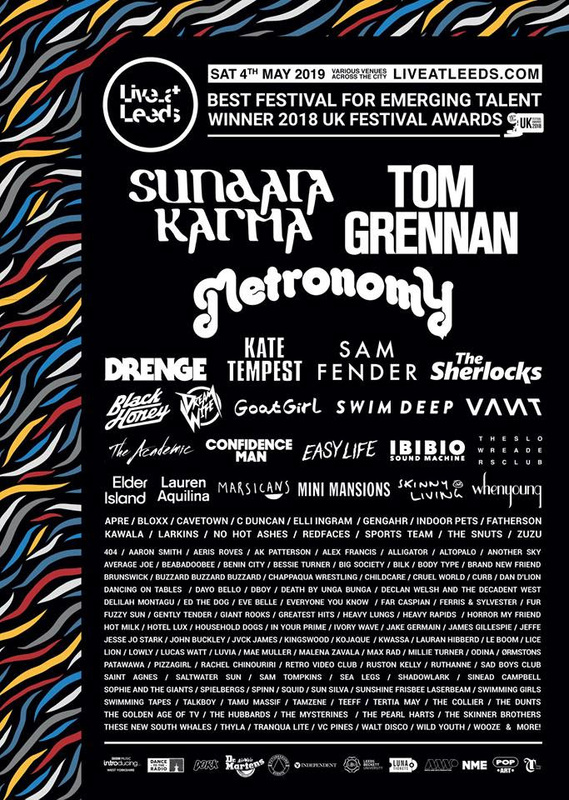 All these incredible talents and more will be joining the already announced line up including headliners Metronomy, Sundara Karma and Tom Grennan. The metropolitan festival is now in its twelfth year and has previously seen the likes of Mumford and Sons, Ed Sheeran and Courtney Barnett graces its stages. “There are still some more to be announced and as usual one or two surprise performances, we can’t wait for May when the summer starts,” says Festival Director Andy Smith. As well as for further line up announcements, keep your eyes and ears peeled for our ones to watch this year at Live at Leeds 2019 which will be coming to the site soon. For the full line up so far go to their website or check out the poster below. Tickets can be bought here.